Headaches are a part of everyday life and they happen to almost all of us - if you often suffer from headaches you’ve probably heard the best trick to alleviate the pain fast. Eat one banana and drink plenty of water and the pain will quickly go away. Even though this trick is really effective, in some cases it just doesn’t help and we’re left with a pulsating headache, unable to do anything about it. 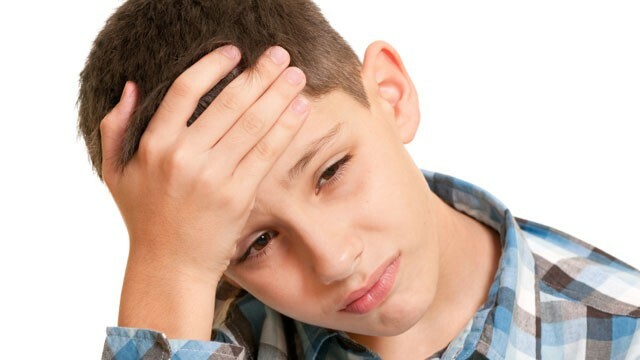 Maybe you haven’t heard but there are different types of headaches which can all have different symptoms and be connected to different issues. That’s way there is no universal cure for all types, you must first determine from which you suffer so that you can get proper treatment. Sometimes headaches happen as a result of fatigue or dehydration, but sometimes they can be a result of something very serious. According to the famous neurologist, Dr. Sakib Qureshi MD, headaches may often be manifested by “red light warning signals”, which is why you have to learn how to differentiate between common headaches and the alarming ones. Next time you feel a headache coming don’t take a pill right away; you should first check if it signalizes another health issue. The most common types of headaches are four and all of them indicate something about the body. If you learn their signals, you will effectively learn to treat them properly. In addition to learning how to distinguish the 4 most common types of headaches, we’ll share with you some homemade remedies which will help you with each of them and you won’t have to take painkillers anymore. Migraines affect 38 million people in the US alone and they can affect people from all ages even though they usually appear between the ages of 25 and 55. Migraines are more complex than the other types of headaches because they include a number of other neurological symptoms and people suffering from this type of headaches feel a severe, intense, throbbing pain on one side of their head. Just one-third of people suffering from migraines experience pain on both sides. In addition to the pain, you can feel nausea, vomiting, visual disturbances, dizziness, extreme sensitivity to light, smell, sound, touch, numbness or tingling in the face. The symptoms start from the top of the head downward. Tension headaches are the most common ones and if you’re feeling chronic pain around the head, especially in the back of the head and the neck or around the temples. You might also feel radiating pain below or above the eyes, nausea and start vomiting. Many doctors believe that this type of a headache is caused by stress. Treatment: Ginger tea and peppermint oil are the best combinations to ease your pain. Apply some peppermint oil along hairline for a cooling sensation which will relax the head and neck muscles while the ginger tea will reduce the inflammation. If your sinuses get inflamed, you may experience a sinus headache, which is very painful. These headaches happen on account of an infection, if this is the case you’ll feel a pressure on the cheeks, forehead and eyes, and a fever. Treatment: Drink as many fluids as you can. Warm water can also help a lot because it effectively reduces the inflammation and opens the sinuses. Also, eat oranges and other foods rich in vitamin C or drink lemon green tea. Vitamin C helps your body fight off infections and has powerful antioxidant properties. Cluster Headaches mostly affect women and can be recurring. It starts suddenly and can be cyclic in nature. It causes severe pain on one side of the head and may lead to nasal congestion, a runny nose or watery eye. The reason for this headache is still unknown, but it starts as soon as certain nerve pathway is activated.